As we creep closer to Halloween, we have notice an increase in creeps creeping about. It means we should all have a greater awareness of our surroundings. In addition, we should arm ourselves with the latest anti-creep technology like Creep Defender, which is a high voltage stun gun designed to locate, then relocate, all crazed creeps in a five mile radius. It also works on zombies. You can find one at Creep Control Inc. or, Creeps.com the web. But hurry, supplies are limited. Oh, if you can’t find the site, you aren’t looking hard enough. I don’t have the link because it changes every three seconds. Don’t ask me why. Good luck with that. This weeks predictions run the range from prancing to porcupines. Aries… The Moon is in Cancer at this time and is anxious to get home and have a drink. You may just like this prediction. In the not too distant future, you will prance and dance but without pants. You will be arrested for indecent exposure and, for frightening small children and animals. Taurus… Saturn is in its second house getting it ready for new renters. This foretells legal action. In the future, you will have the uncontrollable urge to petition the World Court to make the Animal Kingdom form a democracy. Gemini… Mars is on the cusp of Gemini now. This will keep you busy for a while (years in fact). In the not too distant future, you will set out to make a documentary proving that bears do not use toilet tissue in the wild when they relieve themselves. The bears will seek privacy and not cooperate. You will end up with a bare bottom. 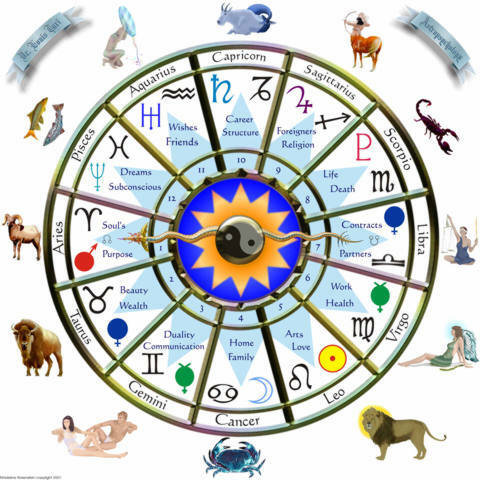 Cancer… The Sun is in its fifth house making preparations for Halloween. It’s having a hard time. It keeps burning up the decorations. Get ready for some quick cash. In the distant future, you will earn extra money by renting out parts of your brain for scientific study. Leo… Pluto is resting after a harrowing week of howling at the Moon. This is not good for Leos like you. Sometime in the not too distant future, you will buy a Kindle or get swindled. Either way you’ll be out out some cash. Virgo… Mercury is in its third house having a backed up toilet fixed. This sends mixed signals for you. In the distant future, you will find yourself in an oven, or in a coven. It’s not clear. It could get hot either way, especially if the witches build a bon fire. Libra …Neptune is rising now and is a little light headed. This will make you have strange thoughts. In the near future, you will mistakenly believe that eating duplicating toner will make someone a copycat. You may be right. Scorpio … Jupiter is trine with Scorpio now. This will bring out the animal instinct in you. In the distant future, you will befriend an aardvark that will reveal the secrets of the animal kingdom to you. You will be disappointed when you find out there is no pork in a porcupine. Sagittarius … Venus is descending now at an alarming rate. This is not good for you. Sometime in the future, you will either get a shock form a hair drier, or burnt by a deep fat fryer. Either way it will be painful. Capricorn … The Earth is trine with Capricorn now, but it wants to be in opposition for some unknown reason. This foretells a quest for better health. Sometime in the not too distant future, you will convince yourself that furniture polish holds the secret to a long and healthy life. You will have the shiniest colon on the planet, just like Dennis Miller. Aquarius … Uranus is in its seventh house having the rugs cleaned. This portends good and bad news for you. In the not too distant future, you will become rich and famous with a bestseller called, “How to Daydream At Night”. However you will flitter your fortune away on a daybed. Pisces… Saturn is trine with Pisces now. This portends a musical experience for you. In the future, you will open a sheet music store for songbirds. The place will soon become a health hazard. It will be closed, due to smelly, bacteria laden droppings. The molting season will be a disaster for you.